I have been a public school parent for the last 21 years and for the last 11 of those years I managed the team of professionals and construction contractors who rebuilt our public school buildings for the Recovery School District (RSD). Hankins was in charge of rebuilding the New Orleans school system after Katrina. When we renovated Craig Elementary in 2007-2009, a building with minimal storm damage, we found the termites had eaten right through the plaster. We had to replace the stairwells because they were damaged after serving as a buffet for the bugs. The guardian angels must have been watching over the children because no one to my knowledge fell through the floors. When we renovated Colton, another building with minimal storm damage, we had to strip every brick off the building — three layers of them — because lack of routine maintenance had allowed water to seep in. With this background, I am deeply concerned by the direction the Orleans Parish School Board (OPSB) is headed when it comes to facilities maintenance, equity, and their obligation to be good stewards of federal tax dollars. Its current plan would take tax revenue from the maintenance of buildings and reallocate it to school administrative functions. This strikes me as extremely ill-advised. Post-Katrina improvements to schools were funded by disaster-related Community Development Block Grants and a historic $2 billion settlement with the Federal Emergency Management Agency (FEMA). When the disaster related funding is completely expended we will have 46 new or renovated buildings. At a comparatively minor cost of $75 million, another 34 buildings will have been refurbished — meaning, their exterior envelope (windows, doors and roofs) will have an extended life until funds can be raised for more complete renovations and their return to service. The refurbished buildings are not yet compliant with the Americans with Disabilities Act (ADA), a federal law enacted in 1990. OPSB did not have a plan pre-Katrina and does not have one today to make their facilities accessible to all, even though serving students with special needs is a stated priority. The majority of these buildings do not even have elevators, and the ADA law for facilities goes well beyond ramps and elevators. Essentially we have a building portfolio where 58 percent of the buildings were completely rebuilt after 2007 and the remaining 42 percent are in need of major work to bring them on par with the rest. When the School Facilities Master Plan for Orleans Parish was revised and adopted in 2011, one of the action items was to establish a blue-ribbon committee to help figure out how to maintain the buildings. The committee determined that, even with so many brand new schools, maintenance needs would be far greater than the estimated $35 million per year in sales and property taxes subsequently placed in a School Facilities Preservation Fund created in 2014. The operative word is estimated. OPSB is now telling us that they have met the funding commitment, by exceeding the $35 million in revenue collections recommended for the preservation fund. But bear in mind that the number was not a funding mandate but merely, an extension of existing debt. The blue-ribbon committee suggested eight years ago that actual need is likely to far exceed the estimated $35 million. Nonetheless, on March 21 OPSB voted unanimously to request legislation — embodied in House Bill 393 — to shift $10 million from facilities maintenance to other school expenses. The move is premature until OPSB can place a true value on the physical condition of our school buildings. They constitute this city’s costliest capital investment; moreover, they house our precious children. OPSB has requested that staff bring forth a Unified Plan for Facilities no later than November 2019, and staff are planning a community engagement process. What happens if OPSB reallocates revenue streams to other purposes without raising the resources required to renovate these 34 buildings? From a passing car, refurbished buildings like McMain, Fortier (Lusher), Marshall (Success), Green, Live Oak and McDonogh 28 may look great compared to their condition in 2005. But all of them have huge systems and infrastructure issues that need to be addressed. In addition, several of the new buildings are turning 10 years old and are beginning to need more intensive maintenance themselves. Heeding maintenance requirements outlined in the operations and maintenance manuals for air-conditioning, heating, roofing and the like, OPSB needs to develop a 10-year plan for each of the 80 buildings, itemizing the systems that need to be replaced. Like our homes and cars, major school building systems require periodic replacement or pricey repairs. We all know that painting the exterior of a home that is 50 years old may preserve the wood, but does nothing to address, say, a leaky water system and low water pressure. We cannot confirm whether the adequate revenue stream is a long-term trend or just another blip; it is foolhardy to make decisions based on data this incomplete. OPSB also plans to revise the formula for how the funds are distributed for non-renovated buildings by increasing the amount from $650 to $800 per student. The allocation of funds for building maintenance on a per-pupil basis was flawed in 2014 and remains that way in the proposed revision. The distribution of maintenance funds should be based on the condition of the buildings, not enrollment. For example, if two buildings of the same size need a new roof, under the current and proposed funding formula a building that has 500 students will get less money than one with 600 students, even though the cost for those roofs are the same. How is this equitable? It is a problem across all 34 of the refurbished buildings that await renovation. The schools with fewer students will face a deficit. When Bobby Jindal was elected governor he inherited a tax surplus. This surplus was built on the sales tax generated by the post-Katrina spending spree, the billions of dollars for refrigerators, automobiles, sheetrock and everything else we needed to get back home. Jindal took this very temporary windfall and used it as an excuse to repeal the Stelly Plan, the tax formula that just a few years prior had stabilized the state budget by eliminating some sales taxes and raising income taxes on upper-income Louisianans. The surplus was an unsustainable anomaly, not a basis for sound forward-looking policy decisions. The state deficit ballooned, thanks to Jindal; LSU and state hospital budgets were crippled by budget cuts, and our current governor and legislators have spent the last three years trying to dig us out of a deep hole. I don’t dispute the need for more operating funds, but that should not be at the expense of facilities. The quality of a school building contributes to teaching and learning. Children need a building free of toxins such as lead and asbestos. Teachers should not have to yell over noisy air-conditioning systems. A child should not be absent from school due to an asthma attack triggered by poor indoor air quality resulting from faulty building systems. And, of course, deferred maintenance almost always leads to more costly repairs later on. OPSB should produce a 10-year spending plan that identifies the needs of each building at the system level. And they should convene another blue-ribbon committee to identify and eliminate unintended inefficiencies in school buildings. They are a byproduct of what has been properly called, not a school system, but a system of schools, an innovative administrative model that New Orleans is justly proud of. The money saved by eliminating waste and overlap can be rededicated to other needs. OPSB and the City of New Orleans have an obligation to the rest of the country — as well as to ourselves — to maintain these buildings carefully. The federal disaster grants that we received were America’s investment in the children of New Orleans, our future. We need to show our gratitude to taxpayers across this nation by properly maintaining our facilities. One of my most memorable experiences at the RSD was a 2010 ribbon cutting when a child stood up to address the crowd: “This building yearns for my success,” the child said. We need to make sure that all our school children have a learning environment that yearns for their success. We cannot say that’s true today, and it definitely won’t be true if facilities funds are reallocated and reduced. 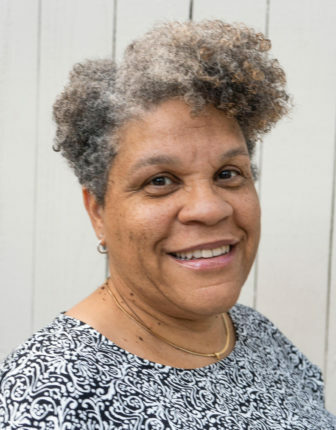 Lona Edwards Hankins was Executive Director of Capital Improvements for the Recovery School District from September 2007 until August 2018. She led the RSD team that in 2010 negotiated a historic $2 billion grant from the Federal Emergency Management Agency, the largest single grant the city received and the largest FEMA ever made. Hankins went on to direct the construction or renovation of 40 schools. She has returned to the private sector and is working for HNTB, a national transportation engineering firm.